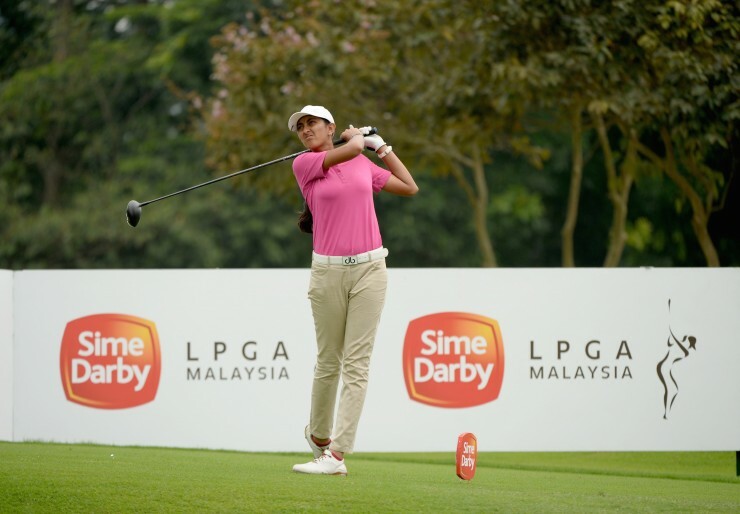 Nur Durriyah and Cindy Lee-Pridgen continued the solid form they showed in the first round of the Sime Darby LPGA Malaysia Local Qualifying Tournament to secure starting places in next month’s showpiece event. The pair both shot 3-over par rounds of 74 at Kuala Lumpur Golf & Country Club today to leave them with aggregate scores of 144 and 145 respectively. The pair topped the 13-player Malaysian contingent competing for two berths in the tournament. The tournament was won in impressive style by Indian Aditi Ashok, whose par on the 18th was enough to edge victory over overnight leader and 2014 qualifier Kanphanitnan Muangkhumsakul who bogeyed the final hole. The result saw Ashok finish at 1-under par 141 on aggregate, and claim the accolade of being the first Indian player to compete in the prestigious Sime Darby LPGA Malaysia, in what will be her first LPGA event. The result sees mother of two, Lee-Pridgen return to the tournament she last played in 2013 but feeling better prepared: “This year I actually practiced for it and the practice obviously came in handy so I’m happy to be back again. I played pretty well yesterday but my putting was a bit off. Today was still a little bit off but I managed to get it together. I’m working on my stamina, I’ve been working out since January which has helped for this event, but from here will focus on chipping and putting. Durriyah and Lee-Pridgen will join compatriots Kelly Tan, Michelle Koh and Ainil Bakar who were all awarded sponsor invitations to the tournament in August on the strength of their official ranking positions, making the Malaysian Angels a formidable five-some for this year’s event. The tournament saw a total of 24 players competing for the three places available in a field comprising players from Malaysia, India, Japan, Korea, Philippines, Thailand and Singapore. It wasn’t to be for tournament regulars, Jean Chua and Aretha Pang Herng who finished in 7th and 8th with total aggregate scores of 148 and 149 respectively. 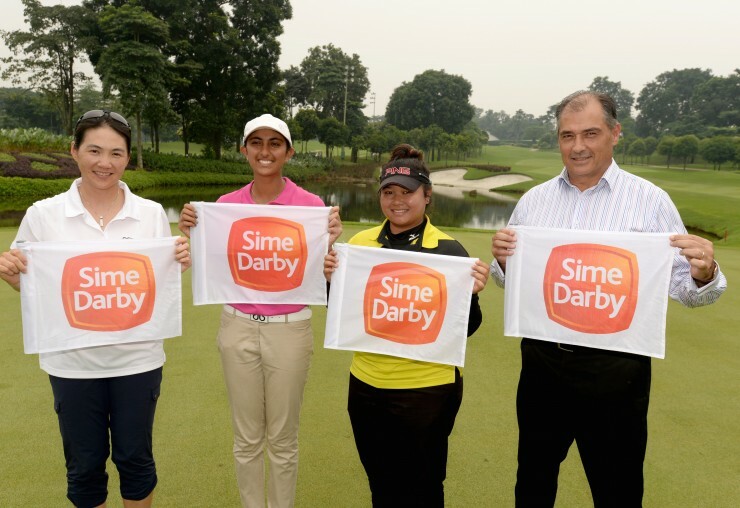 Billed ‘the nation’s most fun golf event’, the Sime Darby LPGA Malaysia 2015 sees a host of new initiatives planned both on and off the golf course, promising four days of fun-filled entertainment complete with live DJs, food stalls, Kids Zone, Chip-4-Charity, and it’s very own KL Food Truck Festival. Henrik Stenson, Adam Scott and Sergio Garcia commits to the 2015 CIMB Classic.